2011 saw RNLI Baltimore lifeboats launch 22 times to a variety of callouts. 33 people were rescued over the course of the year by volunteer lifeboat crews who spent over 740 hours on service at sea. 7 of the shouts occurred during the hours of darkness. The inshore lifeboat Bessie was launched 9 times and the all weather life boat Hilda Jarrett 13 times last year. 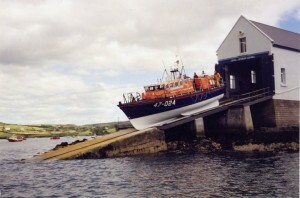 Later this spring Hilda Jarrett will be replaced by a new Tamar class lifeboat, the Alan Massey. Shoreworks are already underway to accommodate the new lifeboat on a purpose built berth at the Bullpoint Station. Commenting on the 2011 statistics RNLI Deputy Divisional Inspector Gareth Morrison said: ‘Our lifeboat volunteers continue to show selfless dedication and commitment to saving lives. Some stations are extremely busy while others have less callouts but spend long hours at sea in awful conditions. There were some outstanding rescues last year including that to Rambler 100, in which Baltimore RNLI recovered 17 crewmembers off the upturned hull of the racing boat during the Fastnet race. Sadly there were also long searches for missing loved ones. The 2011 figures are being released in the wake of the RNLI Lifejackets for Lifesavers campaign which will see every lifeboat station in Ireland take delivery of new specially designed lifejackets in September. The lifejackets have been commissioned by the RNLI for search and rescue work and have been given the seal of approval from lifeboat volunteers. 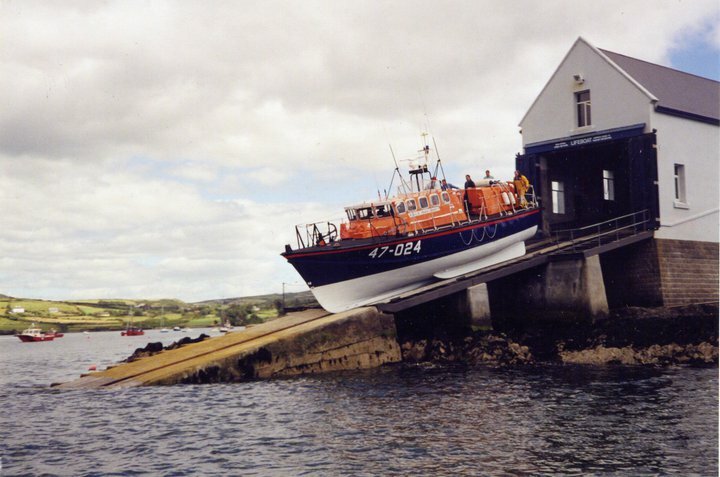 The cost of providing the lifejackets for all 43 lifeboat stations in Ireland is estimated at €160,000.